This bundle contains the parser plugin for Software Security Center and an integration service that can integrate results from Sonatype's Nexus Lifecycle alongside findings from SCA, providing a consolidated view of application vulnerabilities. 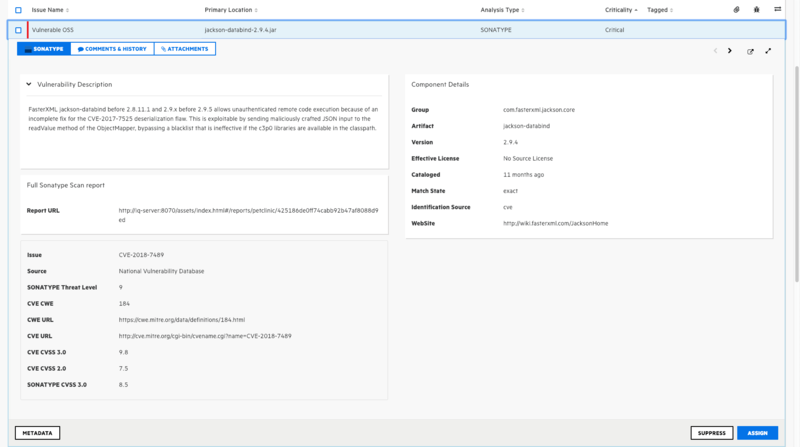 Compliment you SaST, DaST and IaST finding in SSC with Open Source security data from Sonatype's Nexus Lifecycle solution, powered by Nexus Intelligence, to get a complete, 360 degree view of your applications security posture. This plugin is free for all Sonatype Nexus Lifecycle customers. This is the initial release of Sonatype's Nexus Lifecycle integration for Fortify SSC. Complete documentation can be found in the bundle.